As parent’s with a young family have you ever had a hard time finding destinations to travel to that will spark both you and your children’s interests? We see it everyday on the television about these man made places that will bring your young family joy and happiness, but lets face it, they are both expensive and unnatural. First let’s take a moment to think back to when you we were kids. Did you not find entertainment in many various forms in the outdoors. I mean seriously, I use to spend hours on end playing in the woods and exploring the coastline in search of crabs, sand dollars, interesting pieces of drift wood and beach glass. It’s amazing that the unspoiled mind of a child can find such delight in the most simple things. Doesn’t it make you want to turn back the clock and become a kid again, well maybe just for a short period of time. Well my friends if you feel this same way then we have quite the surprise for you. Welcome to Nova Scotia, Canada’s ocean playground. 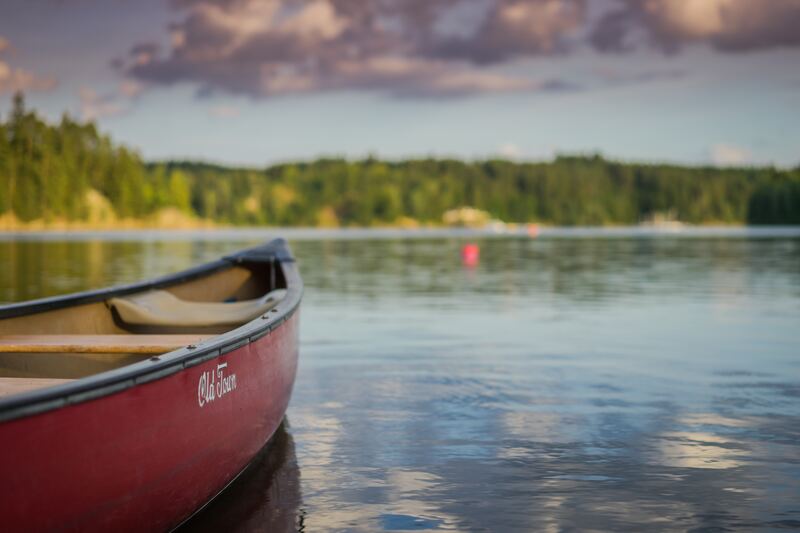 With over 3800 islands surrounding the province, over 3000 inland lakes and more than 7400 km’s of coastline to explore, this place packs quite the punch for one of Canada’s smallest provinces. A family adventure awaits you around every corner as you travel through Nova Scotia. Let’s start in the capital city of Halifax. This great historical port city boosts many opportunities for families to enjoy. Together you can visit museums, sail the Halifax Harbour and enjoy many of the events and festivals that happen during the summer months along our beautiful waterfront, such as the always popular Buskers and Tall Ships Festival. Of course when traveling with the family there is always the urge to get out of the cities and experience what the country side has to offer, and Nova Scotia does not disappoint in this department. 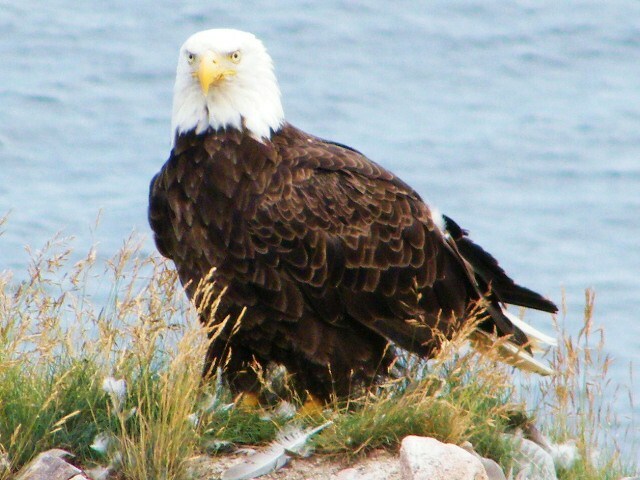 It is home to the world’s highest tides at the Bay of Fundy, the world famous Cabot Trail on the island of Cape Breton and offers families the opportunity to explore the coastline by kayak, hike the lush boreal forests, canoe gentle rivers or just relax on a long stretch of beach all to your own. The kid’s will be amazed at the marine life that frequent our waters and the learning experiences one can expect when visiting Nova Scotia for the first time, or returning because you just can’t get enough of this place are plentiful. No better way to spend the day on a river or lake. The family activities that can be had at and near the Bay of Fundy are endless. If you check the tide times carefully you can walk the ocean floor where valuable treasure was once buried by the notorious pirates that once sailed these waters. If your lucky and have a keen eye you may find a gem such as amethyst or jade which can be found along these shores. 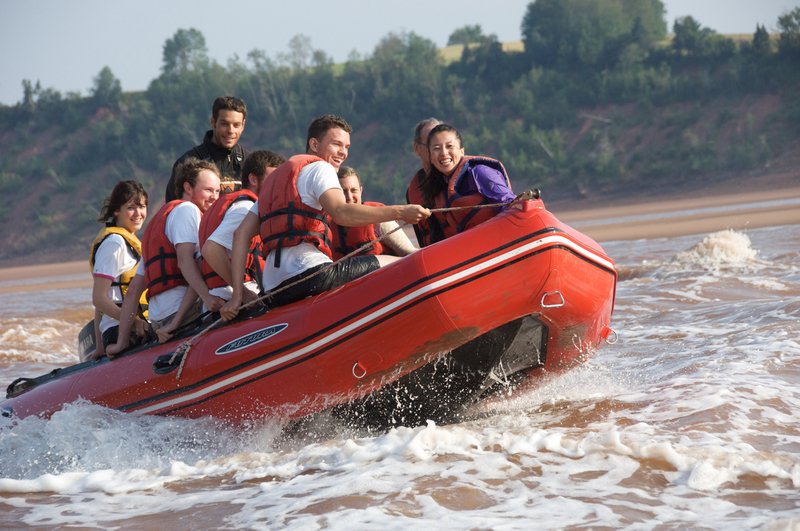 If your willing to get wet and muddy then head to the Shubenacadie River for some tidal bore rafting. It is here that the worlds highest tides get funneled and squeezed into the river creating a washing cycle type effect known as the “Tidal Bore”. Only difference here is that you are part of the wash and let’s just say your not going to come out clean and fresh. Riding these muddy waves is a true rush and this natural phenomenon must be experienced while in Nova Scotia with your family. 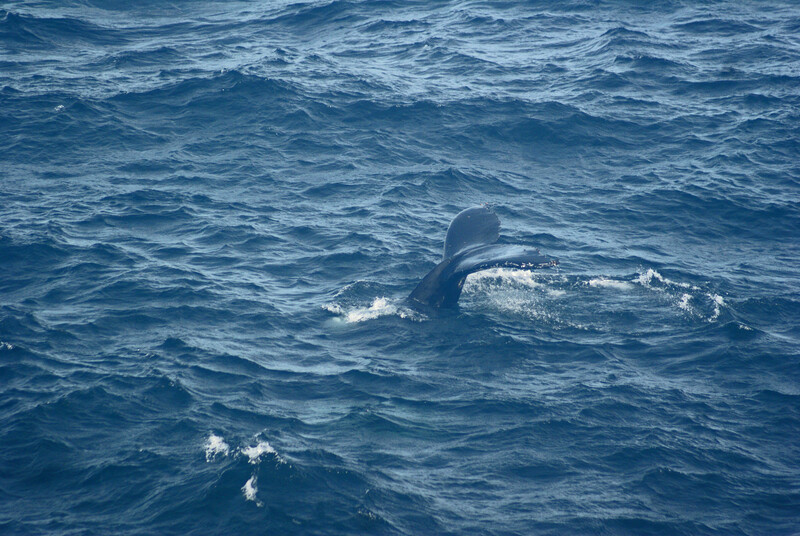 Other great activities to experience on the Bay of Fundy would definitely be “Whale Watching”. At the far end of the Digby Neck is Brier’s Island. This is one of the major feeding grounds during the summer months for large species of whales such as the Humpback, Northern Right Whale, Fun Whale and many kinds of sea bird’s and huge colonies of seals. Seeing a 4o ton, 60 ft long animal breach (leap fully out of the water) will truly feed the soul and have the kid’s screaming in amazement, or maybe even have you screaming like a child. Whale of a time on the Bay of Fundy. 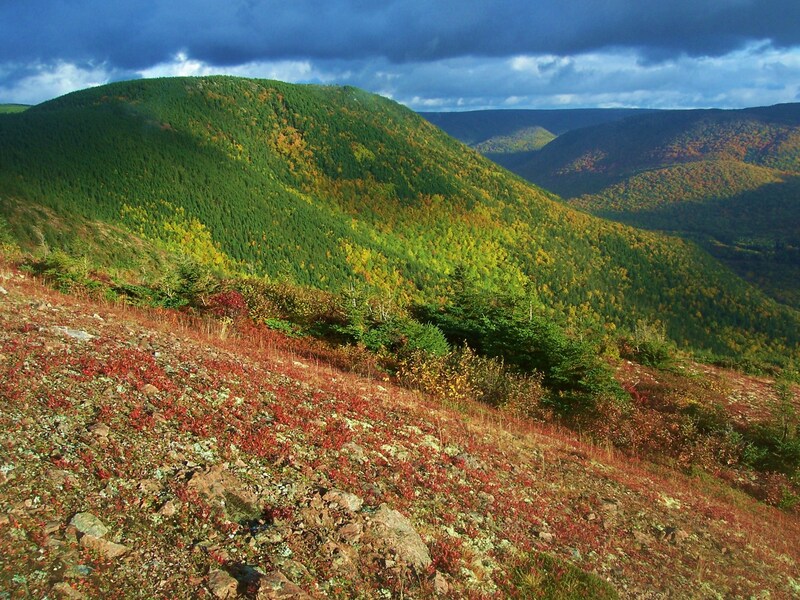 Cape Breton Highlands in full color.